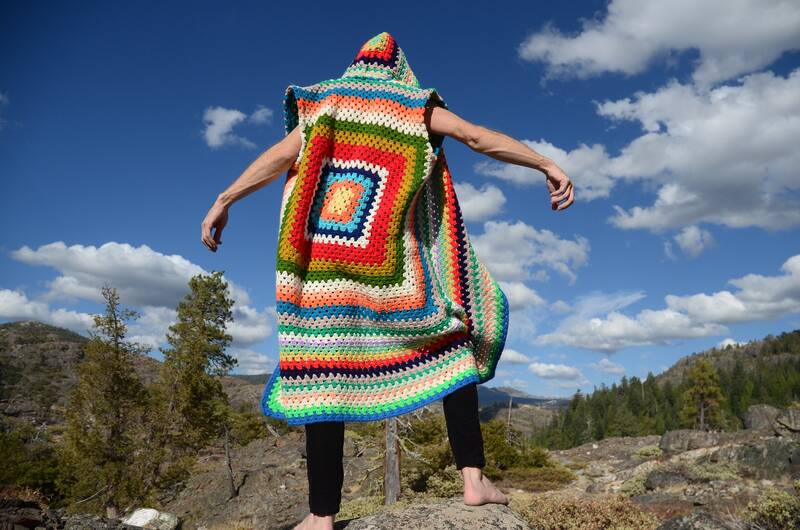 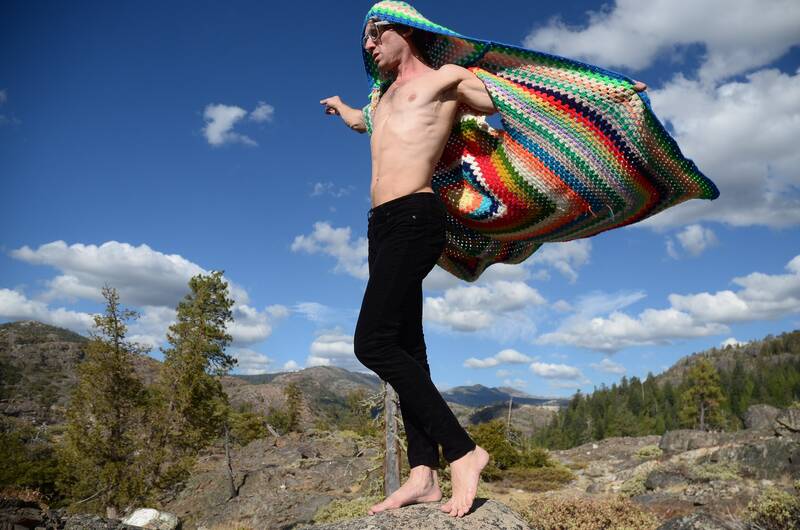 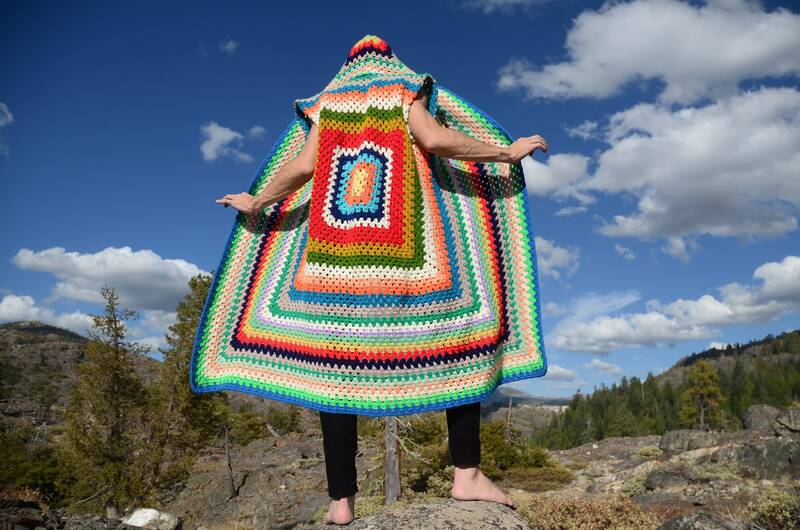 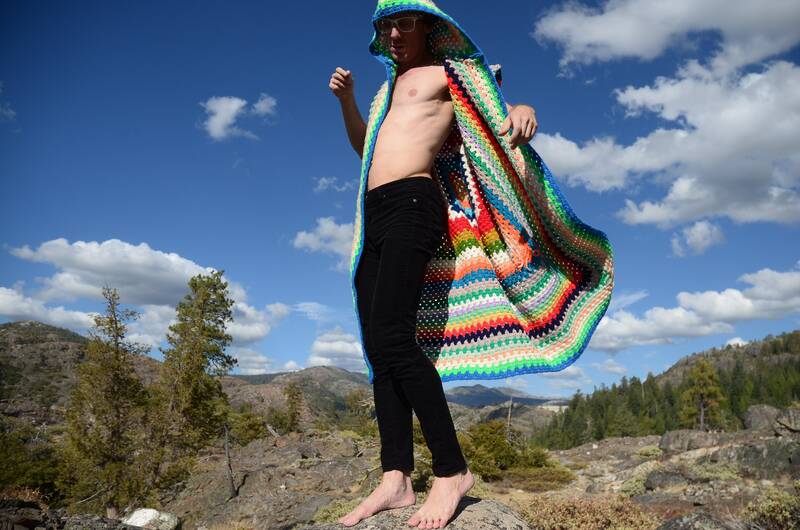 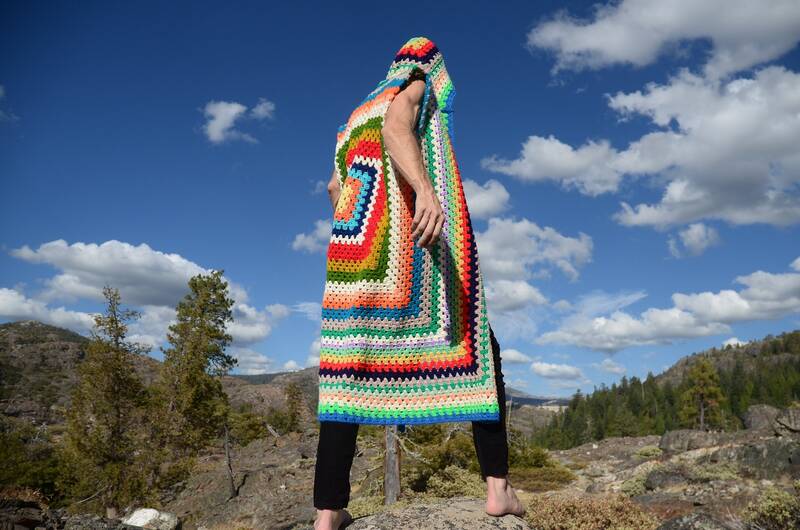 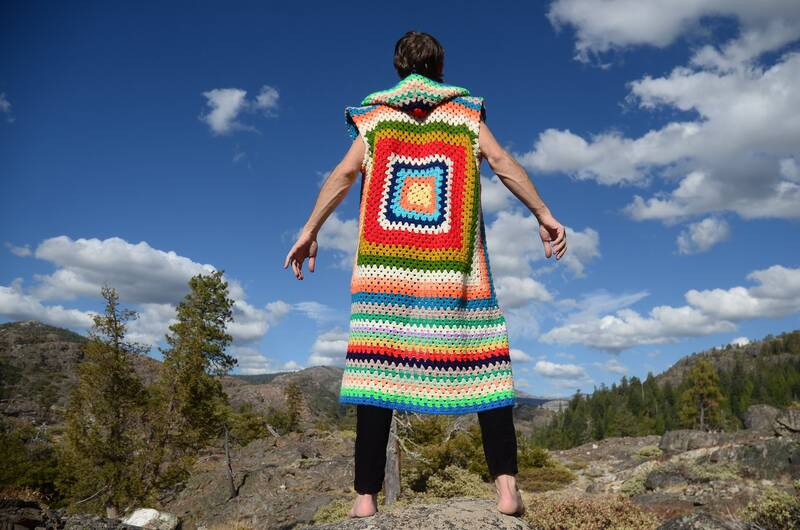 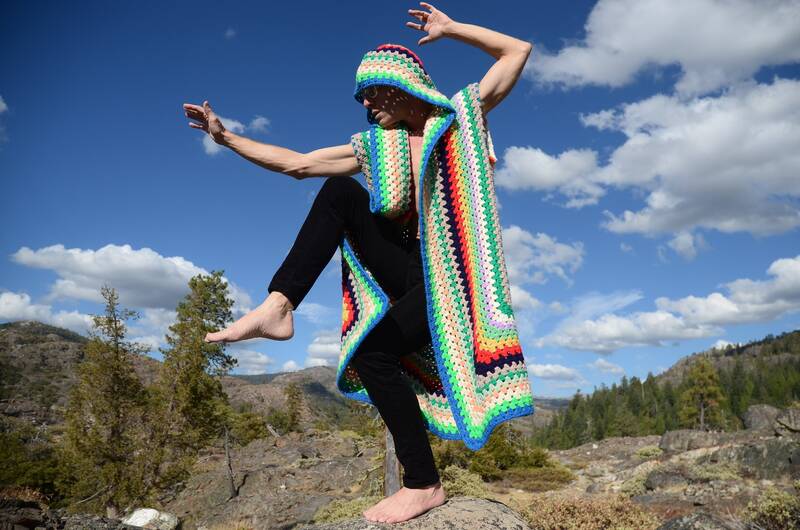 This is a colorful crochet long vest with multicolored stripes and a large hood. 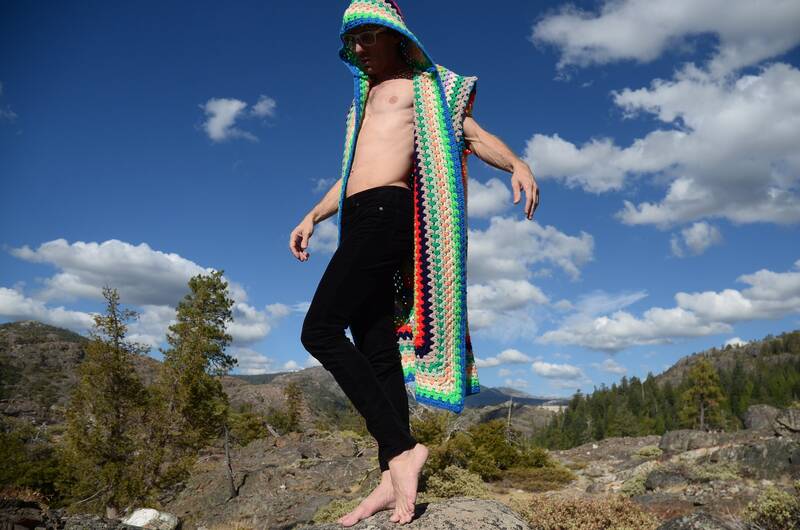 Up-cycled from a vintage afghan blanket crocheted in acrylic yarn, and transformed into fashion by yours truly, Lord von Schmitt. 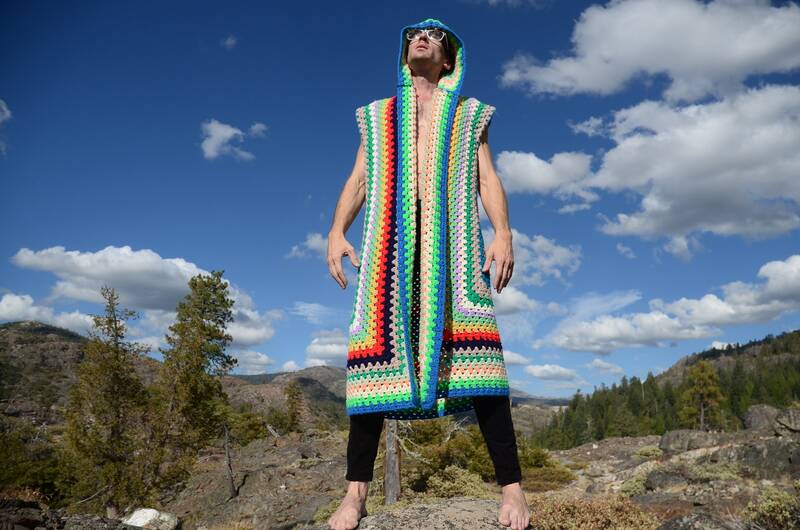 This is an M/L sized sleeveless hoodie, open at the front.